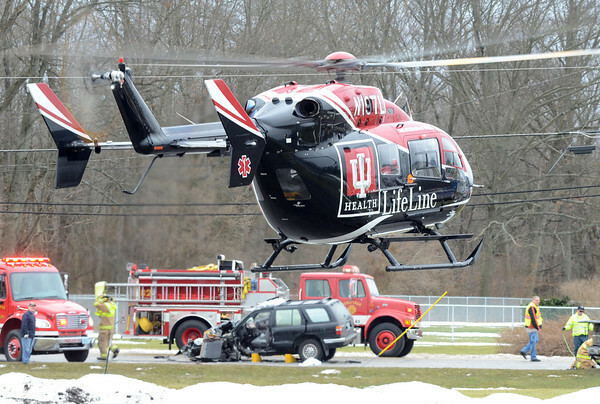 Liftoff: A medical helicopter lifts off from a church parking lot after receiving an accident victim. The mid-morning Monday accident was just west of the Seelyville stoplight. Vigo County and state law enforcement was on the scene as well as an Indiana Conservation officer. Seelyville and Riley fire departments were there along with Trans-Care.